We're back with another fun shoot for everyone to enjoy for a great cause! If you participated in Hallo-BOOM and/or BYOB, you know this is an event you don't want to miss! EVERY EGG SHOT QUALIFIES FOR A FREE FIREARM! Boyert Shooting Center would like to welcome Salient Arms International to our fleet of premium firearms. Boyert is proud to be an exclusive dealer for Salient in the Greater Houston area. Salient will be available for purchase at both Houston and Katy locations. 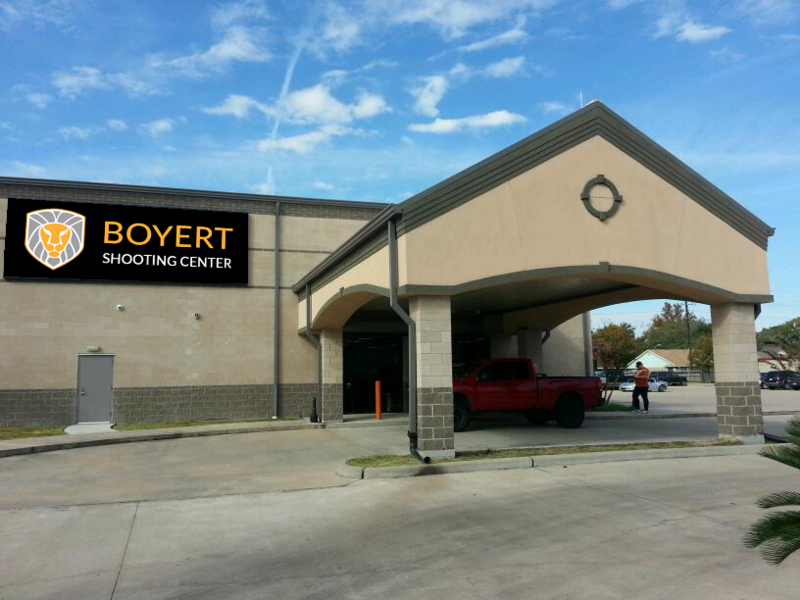 Boyert Shooting Center is offering two group classes for the week of December 22-27, 2015. Join us for our Group Mindset Awareness, available at both locations, or our Women's Group class in Katy. This class will certify you to open-carry or conceal a handgun. It is approximately 5 hours and includes classroom instruction and a shooting proficiency test. Proficiency with a handgun is required prior to taking this course. The LTC class does not teach you how to shoot. We offer private, women's, and group firearm training that can be taken prior to the LTC certification for those who are novice shooters. We want to thank everyone for their support and patience during our construction process. We hope you’re as excited as we are. We have re-vamped the check in area, updated our range systems, and so much more! Please come in and see the new changes for yourself, and let us know what you think!